Nature has blessed Maui by giving it waterfalls, flowers, soft ocean breezes and the guiding hands of Lori and Jamie Lawrence. I first met Jamie fourteen years ago when, like thousands of other adoring tourists, I heard him singing at sunset. His quiet voice, flawless pitch, and facile guitar work told me he’d be the perfect one to sing at my daughter’s wedding. It happened. He came to Minnesota and sang the most romantic songs I’d ever heard. Songs like The Road That Never Ends, and I Love You, which made a lot of eyes misty and created a wedding day more perfect than I’d ever imagined. In the years since, what began as a musical relationship turned into a friendship. More recently, Lori met Jamie and added her deft touch as a wedding planner to his as a musician. Together they’re shepherding couples through their weddings from the first hesitant queries to their choice of private estates for their lavish receptions. Their service is so complete, Lori can even act as pastor! There’s a website I’ve heard about, called theknot.com. Seems the brides are chatting up Lori with enthusiastic praise. Seems she’s a little wizard who can make it happen just as they imagine it. So, you say you want a romantic wedding? These two can plan one for you. I know, because romance is my business. I wrote it for over twenty years. We hang out now, Jamie, Lori, my husband, Dan and me. We visit each other’s homes, we do some cruising, some snorkeling, sing some karaoke and even play some guitars together. Plus, Jamie has recorded two CD’s expressly for me — gifts I gave Dan for special occasions. I never tire of listening to that mellow voice and flawless guitar…and oh, those romantic words. If you’re not familiar with the music of Maui, get his CD’s in advance and see if you don’t love what you hear. And once you hear it, you’ll want Jamie to sing it, and Lori to plan it — your perfect, romantic, tropical Maui wedding. LaVyrle Spencer is a New York Times best-selling author who writes contemporary and historical romance novels. She has successfully published a number of books, several of them have even been made into movies. 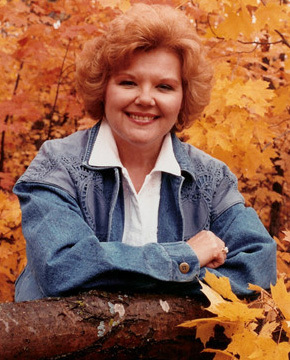 LaVyrle was inducted into the Romance Writers of America Hall of Fame in 1988. She retired from writing in 1997, and currently lives in North Oaks, Minnesota with her husband, Dan.